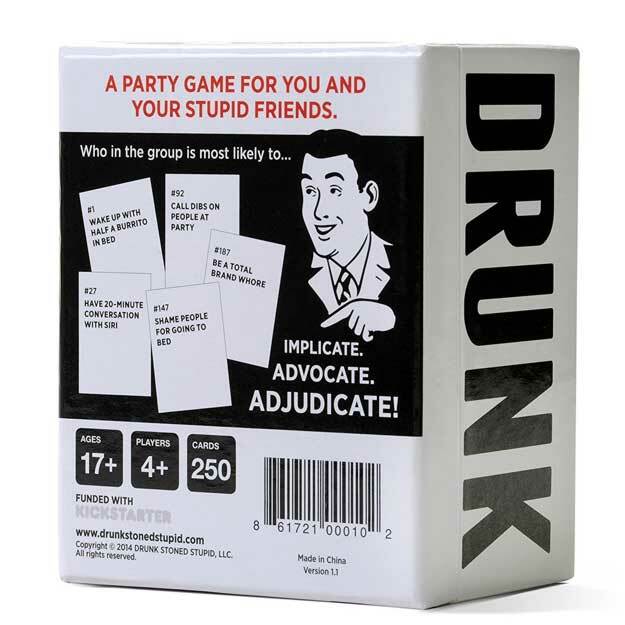 Drunk, Stoned, or Stupid is not just a game to bring to a party. It is the life of the party! Each card is perfect for someone in the group, and you get to hear your friends tell hilarious stories as they battle to be the one not to keep the card.